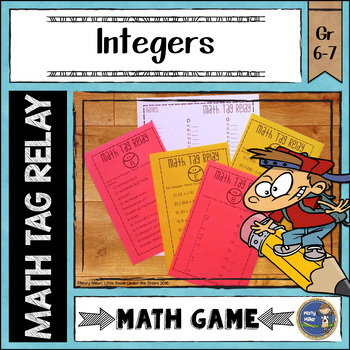 Integers Math Tag Relay is a great way to practice solving problems with integers while having fun. 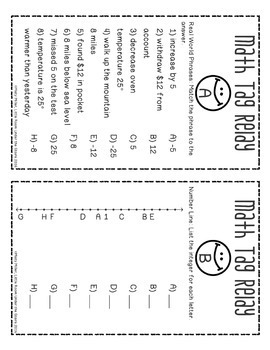 Math Tag Relay is a relay game with students put into groups racing to answer questions. You will need a large space for this so just move the desks to the side or go outside to play. 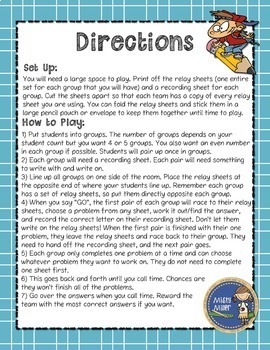 They do not really play tag - when one pair from the group finishes their problem they "tag" the next pair from the group to go and answer a problem. 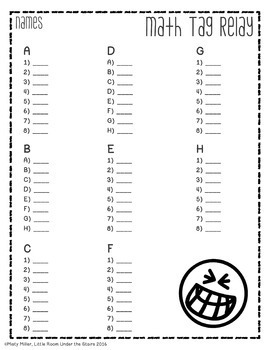 :) It's a fun and exciting way to practice some math!